How can I reuse or recycle onion skins? | How can I recycle this? How can I reuse or recycle onion skins? Is there anything I can do with onion skins instead of just throwing them in the compost? 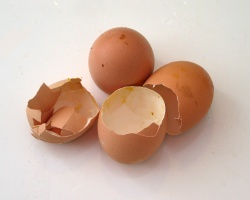 I remember reading about using them to dye eggs at one point but I don’t want to dye eggs! Any other ideas? Ours always go straight in the compost – usually because I’m getting into a panic about making the rest of the onion-based meal (burning! where’s the stock!? argh, we’re out of cheese! etc etc) – but I like the idea of doing something more with them too. Apparently you can use them for dyeing other wool or cotton based things and not just eggs, but cotton stuff doesn’t tend to be very colour-fast so maybe use it for artwork or hardly-washed soft furnishings instead of your new favourite tshirt. Is there anything else that can be done with them? Other practical or crafty suggestions? Or culinary ones (I have half a memory of them being good for reducing the taste of burnt stews…?)? Every dye needs a mordent, which is what makes the dye stick and not just wash out. Does anyone know what the mordent for onion skins is? I usually save the skins for stock as well, or use unpeeled onions like Joanna. Ditto for garlic heads. Alum and cream of tarter is the mordant to use for wools, you want to use tannin for cottons. I keep 4 “soup to be” containers in my freezer. One is for vegetables and their cooking liquid, left over from dinner and the rinse water used to rinse out “empty” ketchup containers. Various leftover pastas are put in this container, as well. The 2nd is for peelings (onion skins, potato peelings, celery leaves and bits, carrot peelings, etc. for vegetable stock. 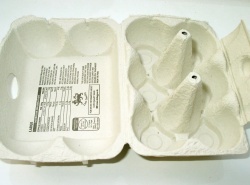 The contents of the peeling container is boiled, cooled and put through a food mill. I usually use this for a creamed soup base. I also brown hamburger, then rinse it with hot water, and drain. The drained water (minus fat) becomes broth, and go into the “beef soup” container along with beef bones and trimmings. Last, I save chicken/turkey skin, bones, trimmings, and save for a poultry based soup. That teaspoon or tablespoon of gravy that’s too “little” to save also goes into this pot. I may add the saved vegetables to any one of the stocks to make soup. 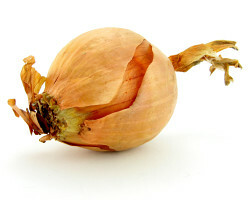 Onion skin are great as an infusion (tea) for when you get a cold or sore throat. I use onion skin as cats playstuff-I give him an old blanket and put some peels on it-Michi love crushing them! stock up on onion skins for Easter: then stick them in boiling water, get the dye, and then naturally dye your eggs for easter. You’ll get fantastic shades of orange and golds. This might sound strange, but my aunt used onion skins as hair dye. I’m not familiar with the procedure, but her hair was a nice golden brown. cats usually can have tragic reactions to onions so best not to give them. There is a medicinal use for onion skins as well. If you are plagued with leg cramps, drink the tea made from the skins. Simply take the skins from one to two onions, place in a cup, pour boiling water over skins, cover with a saucer and let sit for an hour. Drink before bedtime. You should notice relief from cramping in about a week. 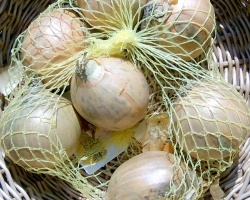 Another tip about how to get lots of skins but not have excess onions: when you go to buy your onions, preferably organic, scoop up all the excess skins that the store usually throws away, place in a bag and buy an onion or two. i boil the skins for a few minutes then drink the tea for chesty coughs. it is really good! Onion skins are fully compostable. I know compost heaps don’t seem to be fashionable these days, but they are a practical means of producing material suitable for home production of natural garden fertiliser. I am using the skins with Modge Podge to cover jars. Then using a tealight candle they are translucent and cast a nice gold glow.